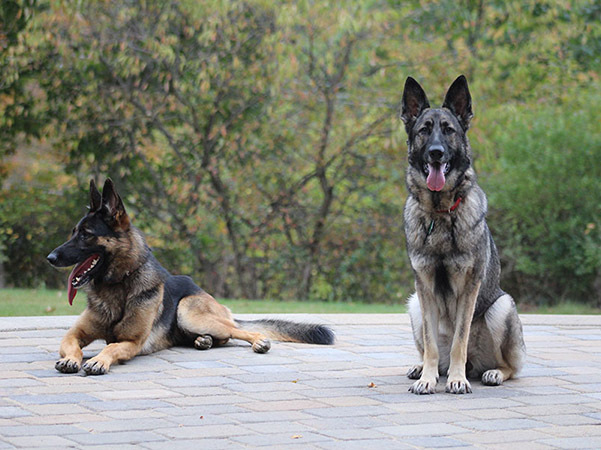 In the canine justice system, the dogs are represented by two separate yet equally important groups: the dog trainers, who investigate the unwanted behaviors; and the dog owners, who uphold the training taught to them. These are their stories. Imagine your dog listening to you every time, even when there are distractions. Imagine your dog no longer pulling on the leash or jumping on guests. Imagine a dog you can take places and not be embarrassed. We can make this a reality. 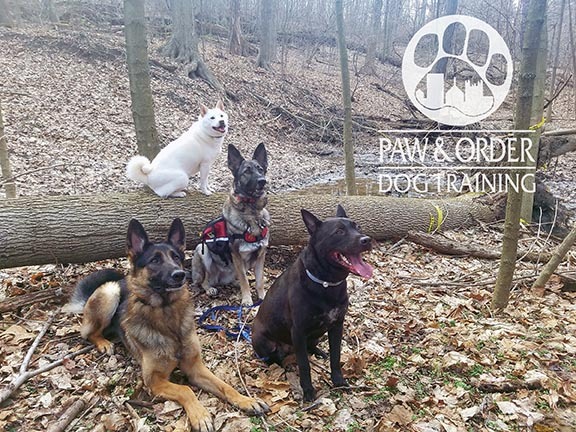 Paw & Order Dog Training provides certified dog training throughout Pittsburgh and the surrounding communities. Our dog training programs are tailored to the individual dog and are successful with all breeds, ages, and temperaments. We offer commitment based in-home training, a board & train program, as well as group classes. You don't have to accept your dog's bad behaviors. You can fix them, and our dog trainers can help! We specialize in all levels of dog training, including puppy training, basic obedience, and intense behavior modification. We can even help dogs who seem to be helpless. If you have a dangerous dog who you think has no hope, before even considering euthanasia, please contact us to to schedule a no-obligation consultation! Whatever unwanted behavior your dog is exhibiting, know that there is a solution! Paw & Order Dog Training is Veteran Owned! Special discounts available for Veterans, Active Military, Police Officers, Veterinarians, Animal Rescue Workers, Shelter Workers & Volunteers, and Groomers living in Pittsburgh, PA and surrounding areas. And the list goes on and on. We’re sure your dog is great, but with our help, he/she can be even better! Don’t just manage your dog’s unwanted behaviors, fix them! Paw & Order Dog Training is proud to provide dog training to the following Pittsburgh area communities and more: Baldwin, Bethel Park, Bridgeville, Canonsburg, Carnegie, Castle Shannon, Crafton, Cranberry, Fox Chapel, Ingram, Imperial, Jefferson Hills, McDonald, McKees Rocks, Monroeville, Moon, Mt. Lebanon, Oakdale, Peters Twp, Robinson, Sewickley, South Park, Upper St. Clair, Washington, and Wexford. If your town is not listed, please contact us to learn if we travel to you.